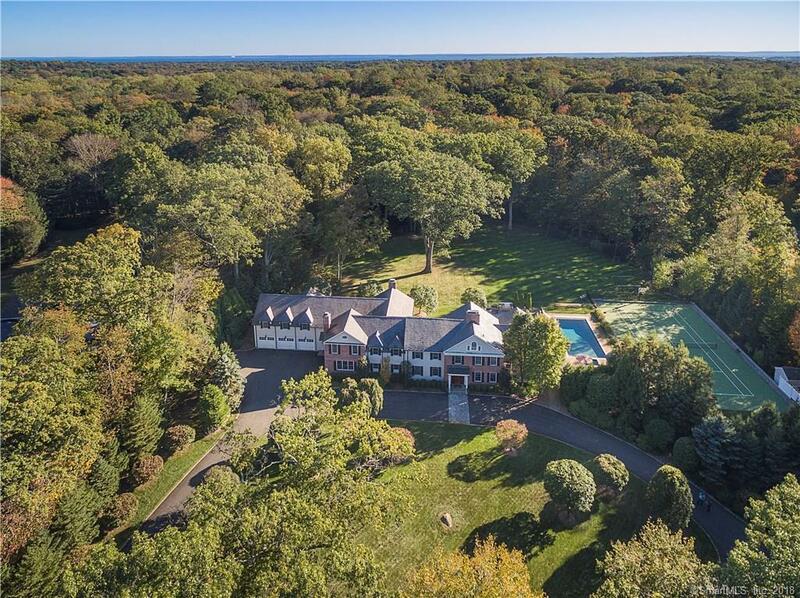 Located in coveted Allwood Association, a private residential enclave, and approached by a circular driveway, this 6 bedroom, 8.2 bath, 8,886 sq. 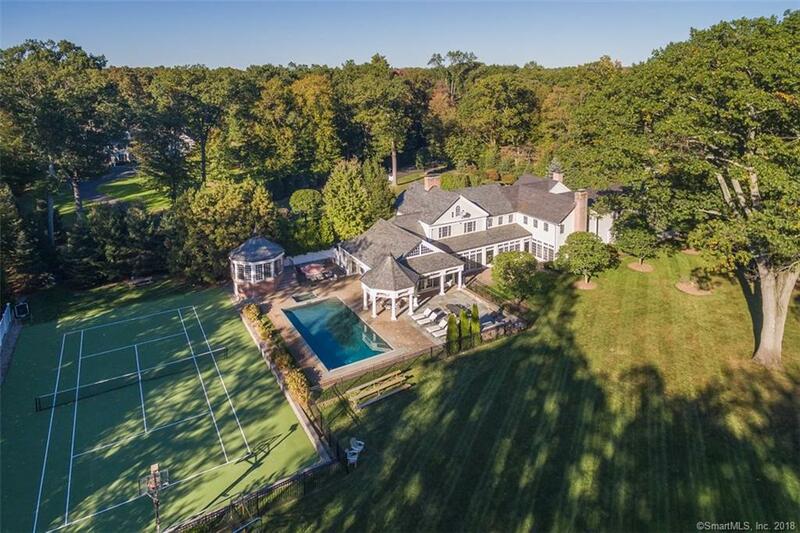 ft. Colonial, nestled on 3.08 private acres is incomparable. 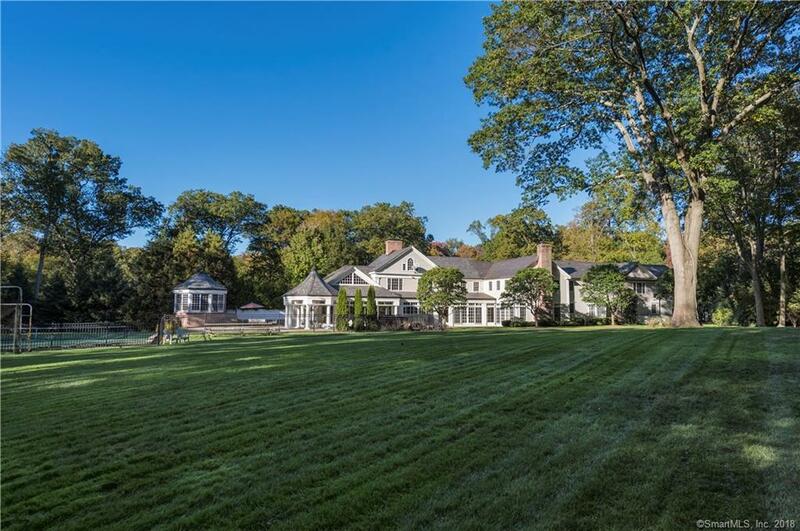 The stunning & level park-like grounds are a "Field of Dreams sport center featuring an Ice-Skating Rink with Professional Phase III Chiller, Tennis Court, In-Ground Heated Gunite Pool & Spa plus a Half Court Basketball. Theres a custom built freestanding, heated glass-enclosed Pavilion overlooking all outdoor sporting events in the privacy of your own backyard. Masterfully renovated to perfection in 2004 and again in 2008 by renowned architects Pagliaro, Bartels & Sajda, the interior features 5 fireplaces, a classical interior colonnade linking rooms across the rear of the home, sun-filled walls of glass doors and transoms bringing enormous sunlight and nature indoors. Located just minutes to town & commuting routes, this treasured family residence is the perfect year-round vacation home. Listing provided courtesy of Debbie Brennan of Berkshire Hathaway Ne Prop..